Hiya, today I have something just a little different, I was tagged in the ‘Getting to Know Me’ Creative Blog Hop by the amazing Kathryn Lorenzini (Kate) from Pinned & Penned, honestly you gotta visit this girl, she is brilliant! I may as well get straight into it as I know there will be much waffling today. That’s easy, I’m so OCD that I have my cards made as far ahead as possible, otherwise too much pressure and I’ll crumble. 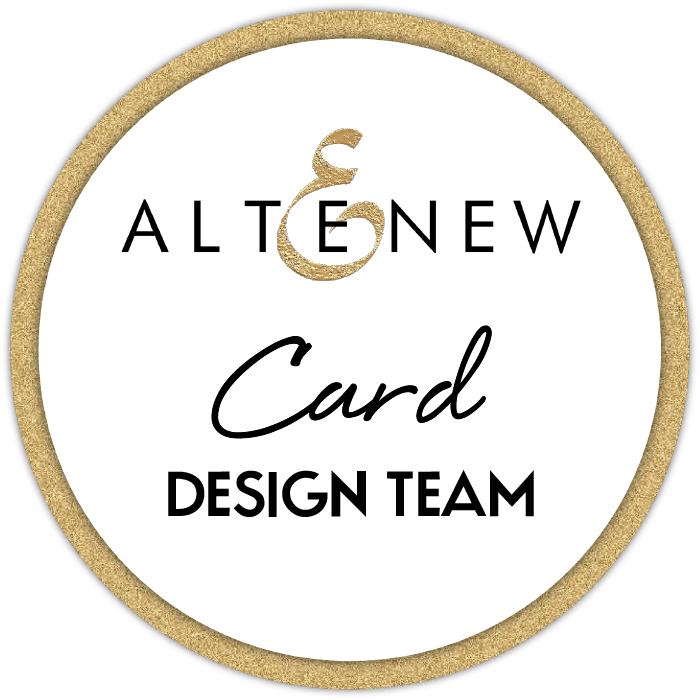 I always have a heap of DT projects on the go, from cards to videos including a new role for a fab stamp company which I am excited to share with you today, I’m going to be a Youtube Specialist for The Alley Way Stamps team, yipppeee! So many things inspire, from the stamps, to my blog friends. Oh My Gosh, you guys are seriously awesome, I see your cards and think, ‘Whoa Stop the Press’, how did you even think of that, you are all geniuses. Pinterest is also a great source for ‘everything’ inspiration. It is my saving grace, Hello, it’s like shopping without spending the money, and perfect for my sieve of a memory, it’s all locked and loaded ready to go, all I have to do is click on the link and there you are. 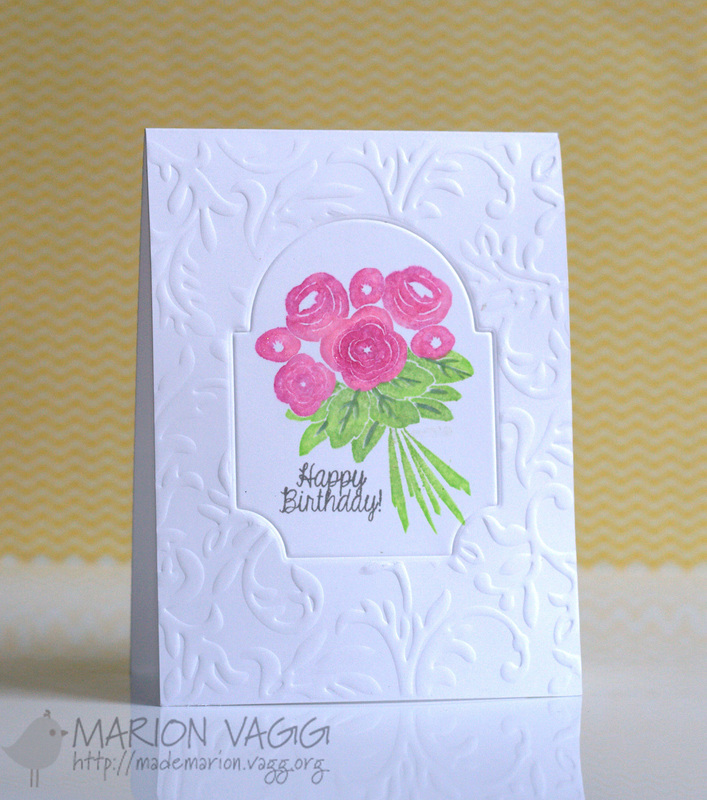 Did I also say that I love flowers and anything bright….. especially bright flowers, colour or a colour combo is sometimes where I start a card, weird I know. For me, it’s all about the stamps, and one the best things that I do when I get a new set (especially for the DT’s) is stamp them all out on a piece of computer paper. Sometimes there are images that I didn’t even know were there and for some reason they look totally different on paper and I can see opportunities that I wouldn’t have even considered. This was a great tip that I borrowed by Emily Leiphart from Art From The Heart, thanks so much Emily). Now, don’t get me wrong I love papers as much as the next person but mostly they are purchased to look pretty, because ‘get this’ if I used them then I wouldn’t have them anymore, Doh! I need some therapy! Now, as for time spent on a project, for me it’s usually the idea that takes most the time so I use my down time to ‘mind design’ or scratch out a sketch of my card so that I’m not wasting time when I do get to my crafty space. Of course this is all great in theory, some cards still take me 3 days (yes, you read it right) to make, others may take a couple of hours. I am a slow crafter and hate to stick anything down too quickly because it may just look better somewhere else on the card and I wouldn’t want to commit too early. I love to ‘try’ many different styles which is often it’s led by the stamps themselves. But when I do find myself ‘mojo-less’ then I tend to head towards Clean & Simple, or I colour something, that usually makes me feel much happier because it may even just find it’s way onto a card. The Stamp-a-ma-jig suits my OCD traits perfectly, I’m also loving my new EK Success tweezers and the third, um…. Oh, that’s another easy one, my Bigshot, so many creative opportunities in one machine, who woulda thought. I’m passing the baton now and there are literally sooo many people who inspire me in this amazing papercrafting world. But the one I would like to pass it onto is someone that inspired me from the very beginning of my blog life. 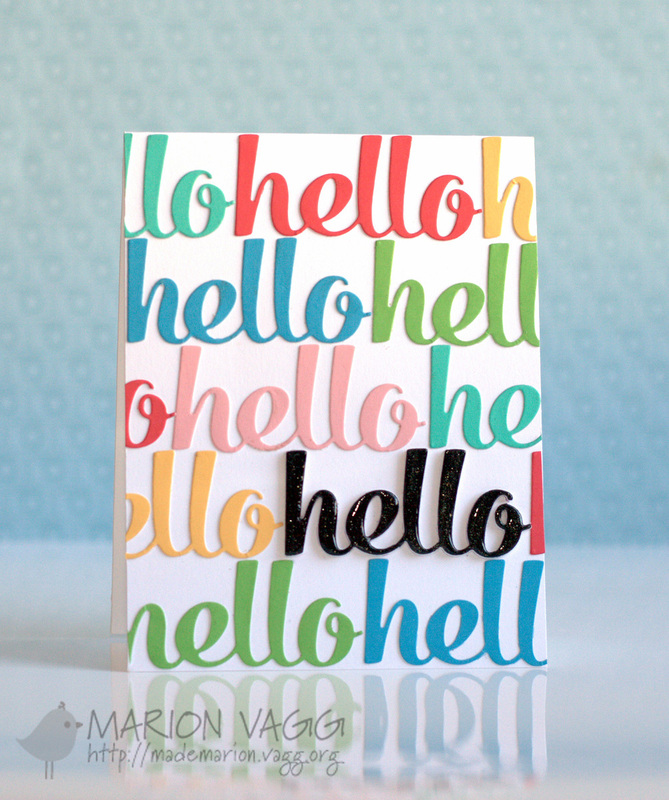 Marion from Made Marion is one of the most incredible crafter’s I know, she has a brilliant eye for design, colour and can totally make a stamp work for her, not to mention some cuteness thrown in for fun! I have been lucky enough to work with her on some design and challenge teams and have met her in ‘real life’ and she is honestly the sweetest person! Told you she is incredible! 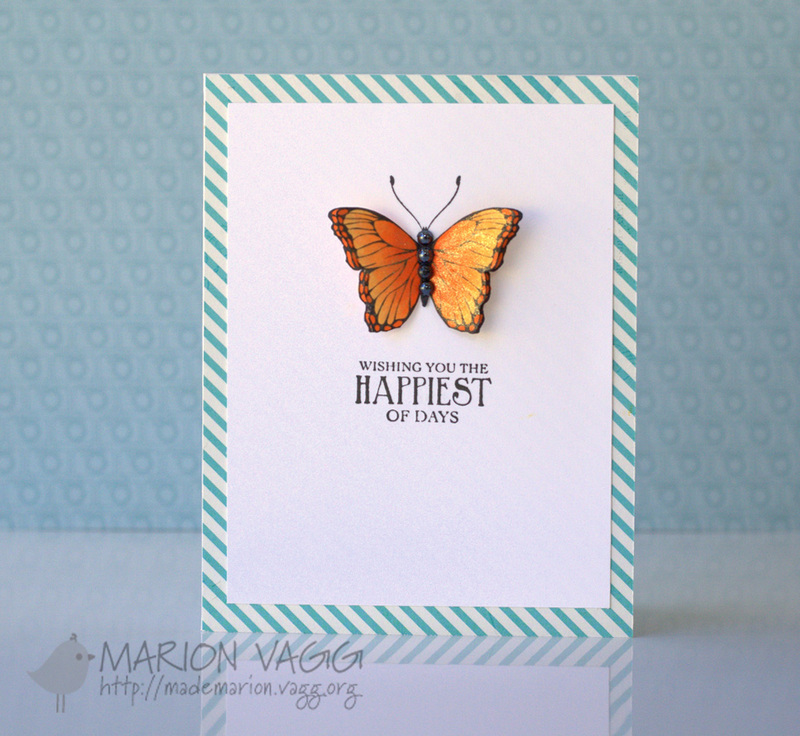 You can get to know more about Marion at her BLOG on October 13th. < Previous Embossing with Dies at Addicted to Die Cutting! Next > Today and Always in Gold! Oh my gosh congrats for the new gig too – that’s so exciting! Congrats on TAWS youtube specialist. Looking forward to you sharing. Thanks for sharing a little about yourself – wouldn’t have taken you for a paper hoarder. 🙂 I need to come to that paper hoarding therapy session too. Thanks for sharing the tip to stamp all your images. Loved reading this!! AWESOME tip stamping everything first!! I am so going to do that! I am such a paper hoarder too… I just hate to cut it! Congrats on the TAWS too very exciting and can’t wait to see your creations! aww love reading a little more about you.. thanks for sharing. 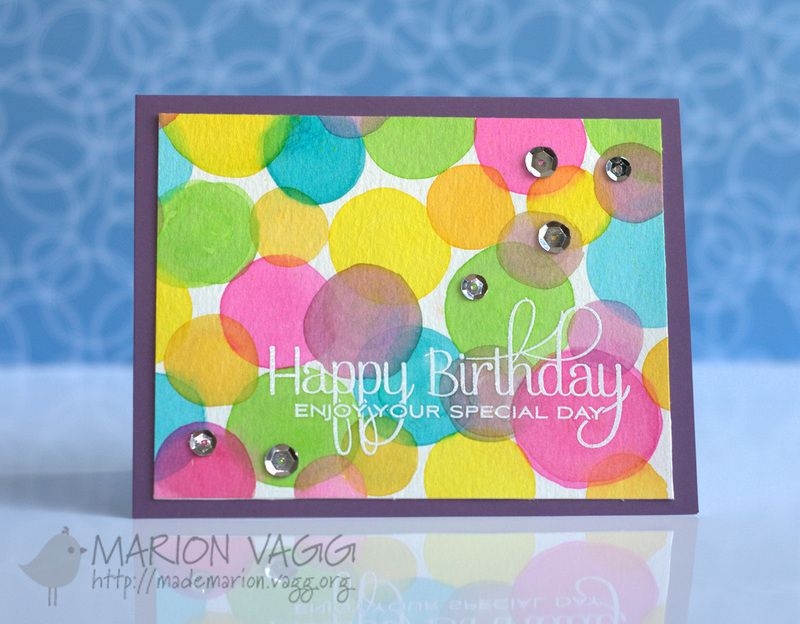 Loved your little tip and that you sometimes just color an image if you don’t have card making mojo. How kind of you to accept the tag and then post a collection of the person you are going to tag. ( I was rude and said no to being tagged a few times ) or lazy. I love your blog! Oh and congrats on Alley Way stamps!! Your videos rock! Huge congrats on your new video gig! Woot 🙂 You’re talented AND humble, crap! I loved reading more about your process! 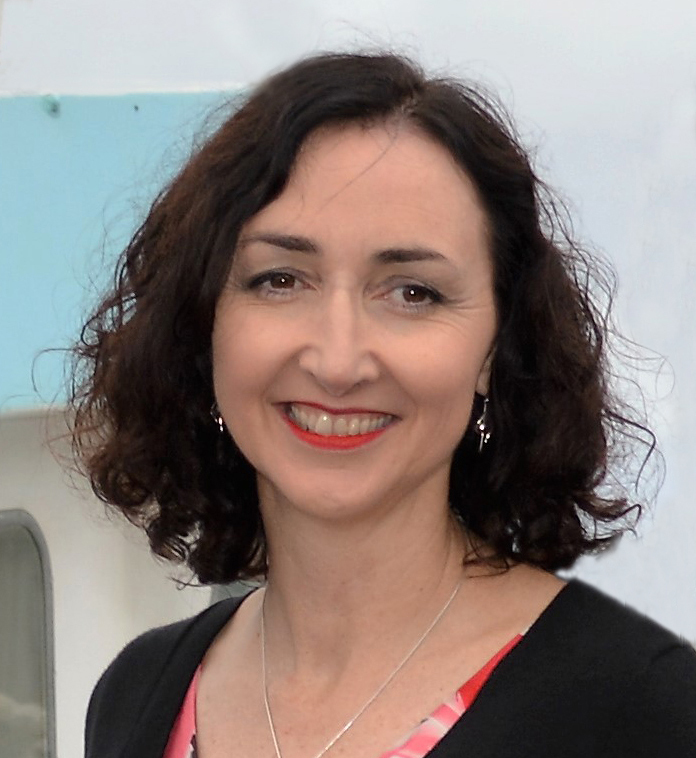 Great post, Therese – loved getting to know “what makes you tick”! I totally agree, Marion is incredible – and so are YOU!